As an Instagram or Twitter marketer, your business needs hashtags to pop. If you are targeting Instagram for Pink, you’ve got your work cut out for you. We’ve put together this list of the best Pink hashtags for Instagram & Twitter. They will help you to get more organic reach from a targeted audience that converts. Copy and save them so you can paste them into your Instagram posts. 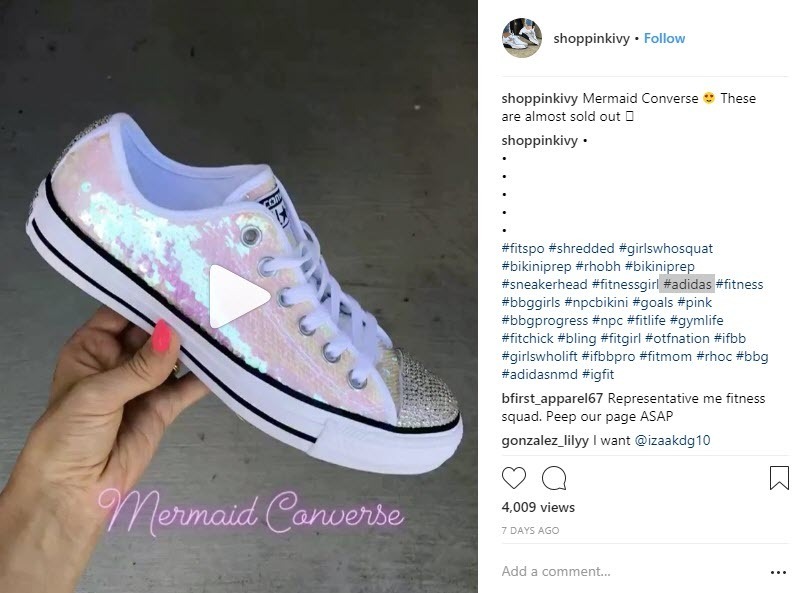 Then, read below to learn how to combine these Pink hashtags on Instagram to maximize your marketing efforts. Because Instagram is a user-generated content social network, it is ripe to help you convert your audience into free marketers for your brand or business. Start by creating a branded hashtag. It should be short, simple, and as close to your brand’s name as possible. Then, include it in your profile write-up with a call-to-action to train your customers and audience to use the tag. If you want conversions, then using only using pink hashtags won’t get you where you need. You need to combine them with hashtags for your industry so that you increase your chances of being discovered by those who are looking particularly for what you have to offer. If ArtGalerri only used pink hashtags, they’d have a heck of a time of reaching an audience that is interested in DIY. By including DIY hashtags they are increasing their chances of being discovered by those who like pink and may be interested in this craft. This is smart Instagram search marketing. This is a MUST if you are a local brand, service, or business. Make sure to include hashtags for your neighborhood, city, state or country so you have a chance to reach both tourists and locals looking for your business or services. 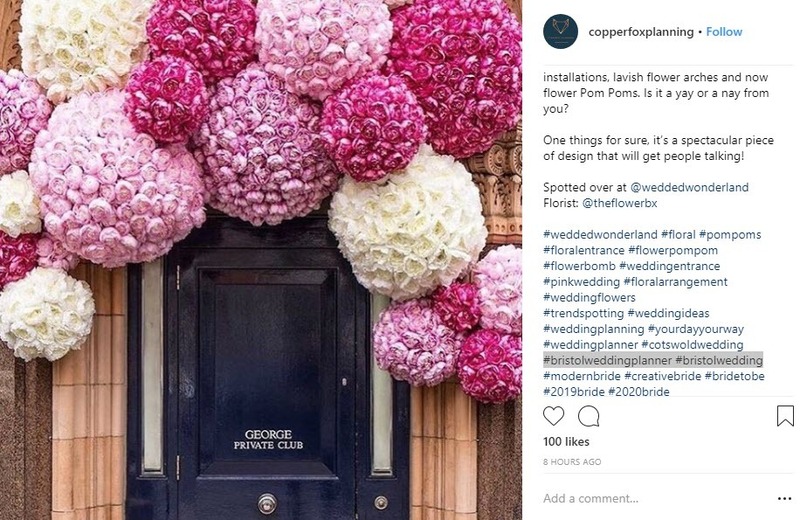 Copperfox is a wedding planner that serves the Bristol area. As such, they use both pink hashtags (when appropriate) and Bristol hashtags. The second set will help them to be discovered by a local audience that is more likely to convert. This works particularly well when you use hashtags for related brands. For example look for some of our related brand hashtags. The idea is to increase views from a vetted audience that is already interested in brands associated with your business. It’s an easy way to use Instagram hashtags to reach a targeted audience that converts. Pink Ivy is a sneaker shop that features all pink shoes. Notice how the shop uses #adidas, this is a related brand that will most likely draw views from people who are more likely to click thru and maybe purchase. This is a fantastic way to increase the chances of conversions. 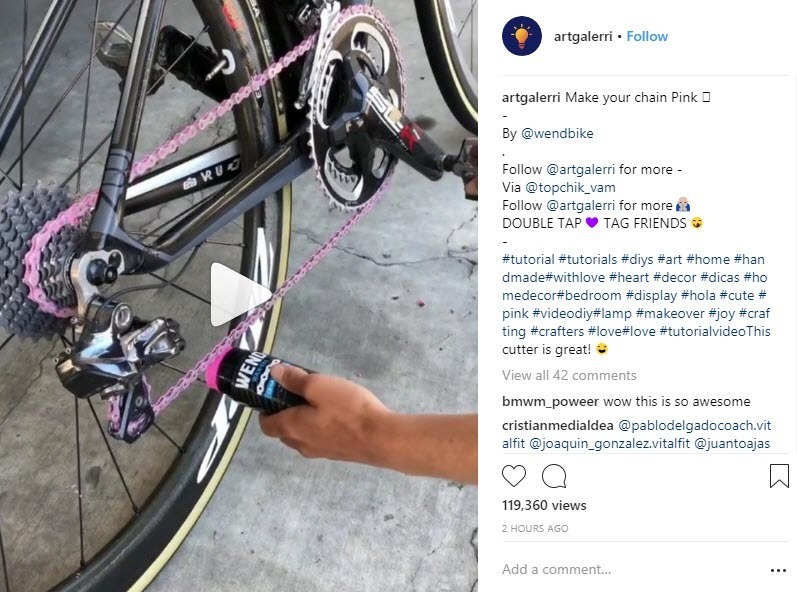 Now that you have all those great pink hashtags to use on your account, and you know how to use them to get the most reach and engagement, you need a great Instagram management tool. Socialdraft is an all-in-one Social Media Dashboard that helps you manage Instagram. It is the most robust and simple tool for agencies and teams to effectively handle social media.